Do you have friends that are wary or even critical of your avid interest in running? Many people tend to be dismissive of what they do not understand, not seeing the real value in it or wanting to keep an open mind about something that is foreign to them. If you have a friend who is agreeable, you may want to try out some activities and various methods that will get him or her to give it a try. Read on for ideas that will help your loved ones to see exactly why you love running, including “fun runs” that they are sure to enjoy. Are you a competitive person? Or can you think of at least one friend who is? Competition can give an immediate boost to nearly any physical activity that may otherwise seem boring. You can set up a simple race at your local park, a college track, or even down a quiet street or sidewalk. Explain the rules beforehand if you and your friend want it to be just like a regulation race, or you can do it elementary school style – on your marks, get set, go! It can be incredibly rewarding to get through an entire obstacle course. If you can set it up with a few challenges, it is ideal. Of course, this requires you to have the equipment and supplies readily on hand. If you are a personal trainer or work for a gym or have some other fitness-related career, you likely have all that you need. Put in the effort to build an awesome obstacle course that is complete with a rope climb, inflatable cushion, monkey bars, climbing nets and more. 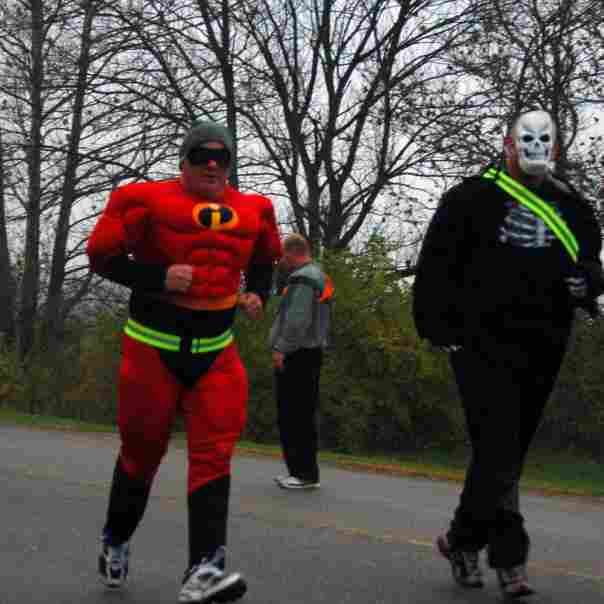 Why not go one step even further, and register to do a fun run together? Just like its name, these events are more about having a great time than reaching a record time. In fact, many individuals who have no prior experience with any “serious” running take part in them all of the time. Find one within your local area or opt to take an adventure and travel to enter one of many that are held all over the United States on a regular basis. You will love the variety of styles of these events. It will bring you joy to get your friend(s) out on the running scene in a way that does not feel as though you are pulling teeth. Are you a fan of getting dirty? Then have a friend tag along at a mud run event. This consists of obstacles such as a slip ‘n slide, pit, climbing net, and tubes that typically have a large amount of mud in or around them. Some of them are centered around a theme, such as zombies or superheroes. If this appeals to your sense of adventure and spontaneity, get out there and sign up. You will get messy, you may achieve a personal record, but one thing is for certain – you will have a blast doing it! This is one of the latest crazes to hit the scene. If you consider yourself to be a bright, cheerful person, this is the right event for you. It involves a lot of paint and dressing up in funky or beautiful costumes. You can’t go wrong with a colorful, wild running event that spans several continents and gives you the opportunity to earn rewards that you receive at the event. Look for a location near you and be sure to plan ahead so that you can take advantage of early registration discounts. 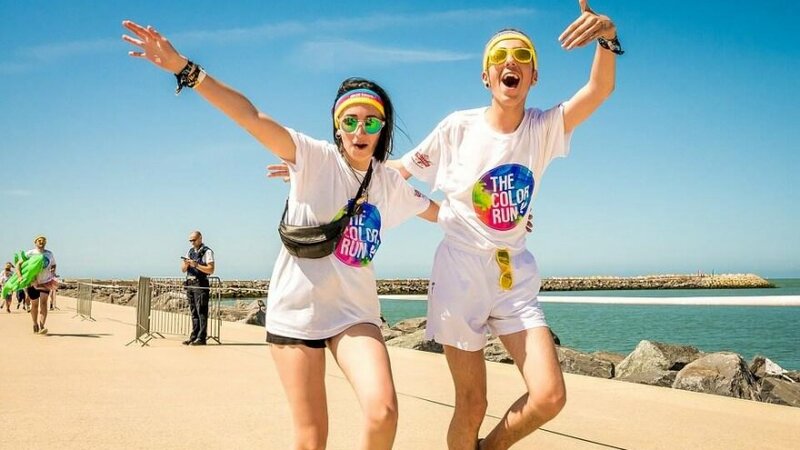 The official Color Run is a for-profit organization that partners up with charities to encourage giving back to the greater community and the world. 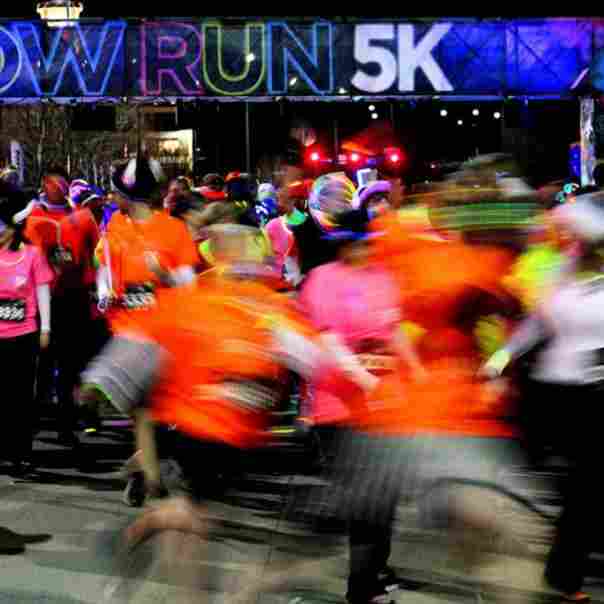 There are numerous “glow runs” that are held across the country. Many of them include a pre-party with face painting, music and dancing, as well as an after party. There is music played during the run, with the runners traveling through only black lights with neon lights to complement them and set the perfect ambiance for the night. Registration includes entry into the parties and some goodies. This is sure to be great fun for anyone who would like to feel like a kid at heart. Are you a big fan of all things chocolate (or even just hot chocolate)? If so, then you may want to consider inviting your loved ones to join you for the Hot Chocolate 15K. It is a fairly straightforward run, though you do get hot chocolate, chocolate fondue, and different kinds of treats to dip in to once you finish. 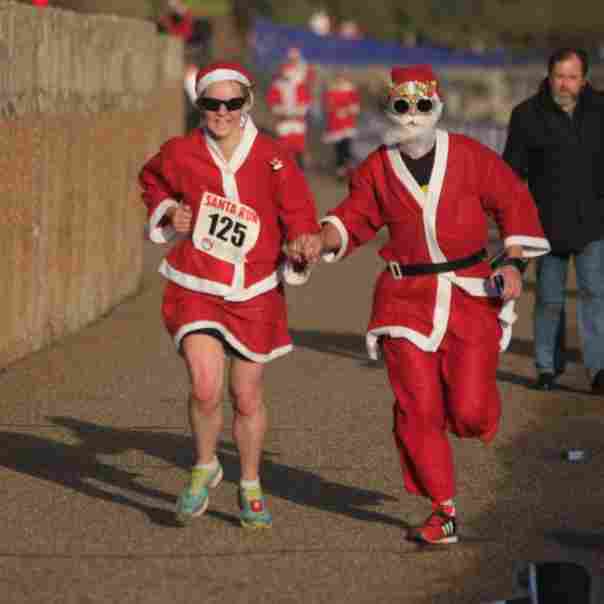 There are Hot Chocolate 15K events at many locations across the country. Best of all – their official charity is the Ronald McDonald House.